The red-tailed radish grew gives the wok and salad a wonderful color. These crispy sprouts have a fresh and slightly strong taste. 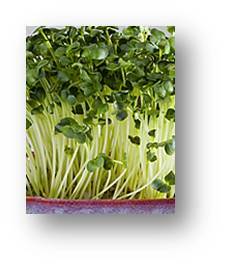 Can be blended with other sprouts like flavoring.